1 To what extent does the ADA address disabled people who sustained injuries from two separate but interrelated accidents, the first involving the disabled person being a pedestrian struck by an automobile driven by 17 year old female driver, the second involving a golf club blow to the head resulting in emergency neurosurgery, if the second accident personal injury case was heard in court first and settled, would the first pedestrian accident stand as the event that caused the person to be disabled, or the second golf club accident be qualified since it was first heard and settled in court? Or are they both acknowledged and treated pari-passu? 2 Does the ABA apply to privately owned or operated residential buildings that receive financial assistance from a federal agency like HUD or VA? What if the federal government owns the land? Does that make a difference? 3 Please explain the relation UFAS has to ADA or ABA standards when working with HUD residential properties. 5 HUD allows the use of the 2010 Standards with exceptions, for non-residential projects needing to meet their Section 504 requirements. Can you talk about the "exceptions" HUD cites and how it differs from the ADA Standards? 6 Can you briefly discuss the overlap of Title II projects needing to comply with ADA Standards and those Title II projects that also receive Federal financial assistance such as HUD funds and determining "more stringent provision"? 8 Are you able to take the time to explain why the difference exists for each identified in the presentation. Thank you! 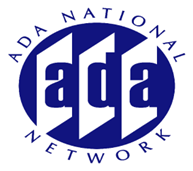 9 What are the difference between the ABA and ADA standards? 10 Will this webinar qualify for PDH CEU'S? 11 What type of facilities are considered residential (and therefore subject to HUD / UFAS) under the Architectural Barriers Act? For example, dormitories, assisted living, and other facilities that may fall under Fair Housing - are they also subject to UFAS (rather than ABA) when federally assisted? 12 How does ICCA117.1 compare with ADA? Are the two identical?